Perennial murder suspect Robert Durst pleaded not guilty Tuesday to a federal gun charge — less than a week after he made the same plea to state charges. The real-estate heir was returned to custody after an arraignment that lasted less than 10 minutes. Durst was arrested in New Orleans last month on a warrant out of California that charged him with murdering his confidant, Susan Berman, in Beverly Hills in 2000. 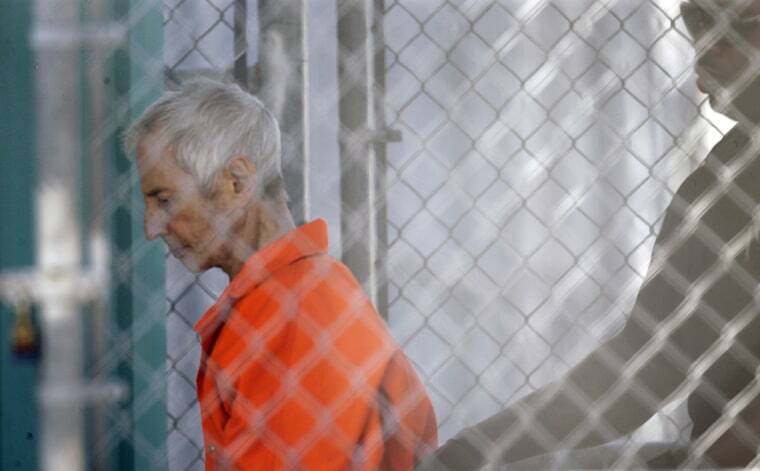 At the time, HBO was in the midst of airing its documentary series, titled "The Jinx," on his bizarre life. FBI agents who detained him found a Smith & Wesson .38 caliber revolver in his hotel room, along with some marijuana and a stack of $100 bills. He was hit with state charges for that, followed by a federal indictment on charges that carry up to 10 years in prison. His attorney claims the search was illegal and the charges should be tossed out — so he can extradited to California to fight the murder rap. The 71-year-old — who was cuffed and shackled and wearing a yellow jail jumpsuit in court — denies that he killed Berman. His possible connection to her murder was one facet of "The Jinx," which also examined the 1982 disappearance of his first wife and the 2001 dismemberment of his elderly neighbor, which he convinced a jury was in self-defense. Authorities say it appears Durst, who had been living in California, was getting ready to go on the run when he was nabbed in Louisiana. Days later, the HBO series ended with a bombshell: Durst caught on a hot microphone saying he had "killed them all."